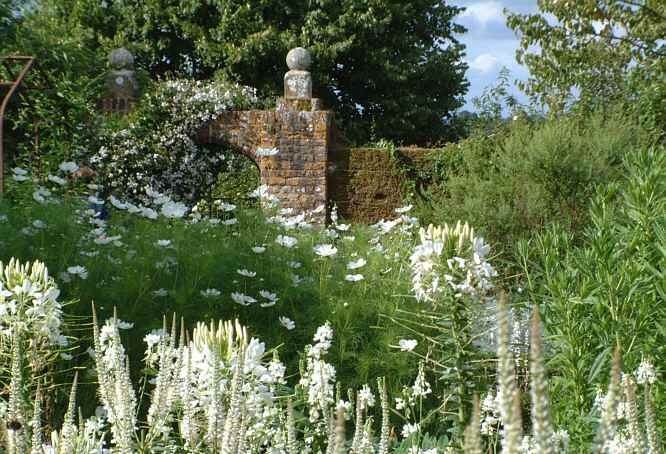 Sissinghurst Castle Gardens - White Garden 1. 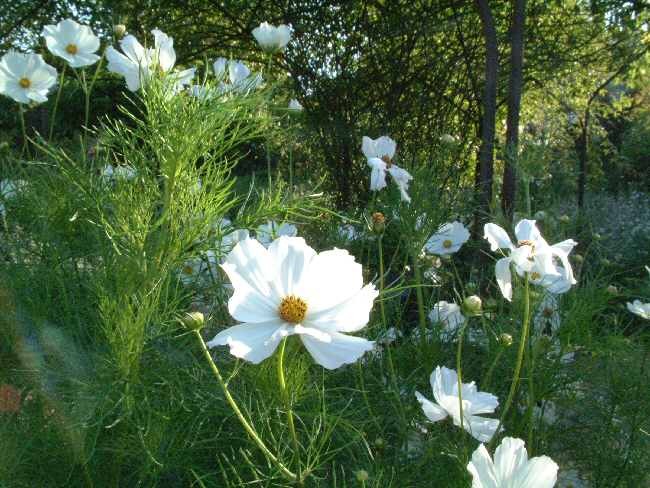 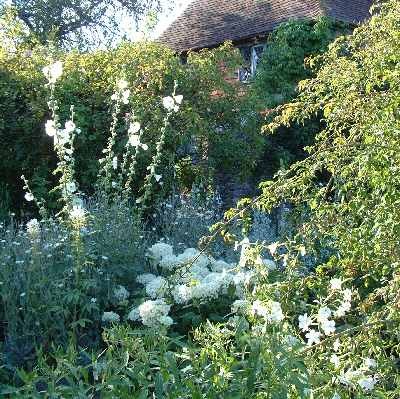 Perhaps most popular of the individual Sissinghurst gardens - The White Garden? 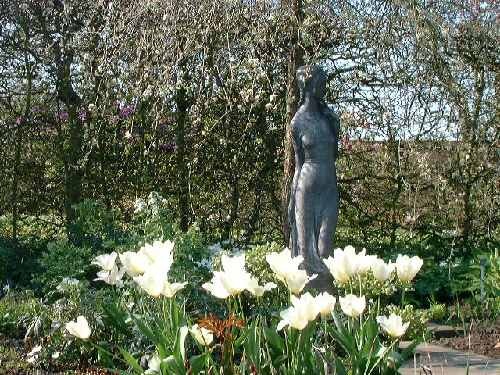 It was originally planted as the Rose Garden in 1931 but converted to the 'White Garden' in 1950. 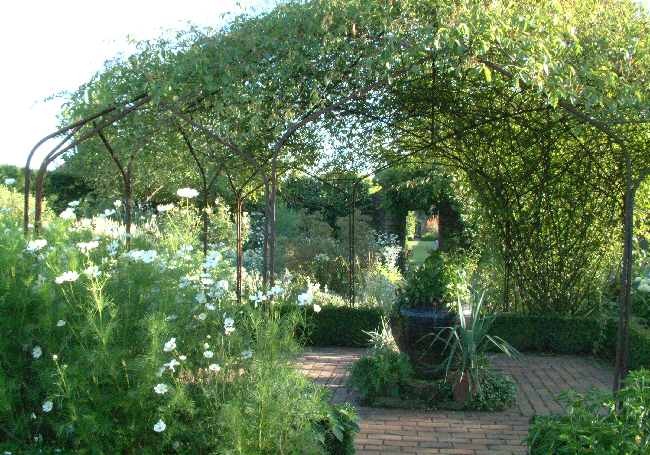 The most striking feature, the Canopy is relatively new, added in 1969, although the pot at its centre dates back to 1937. 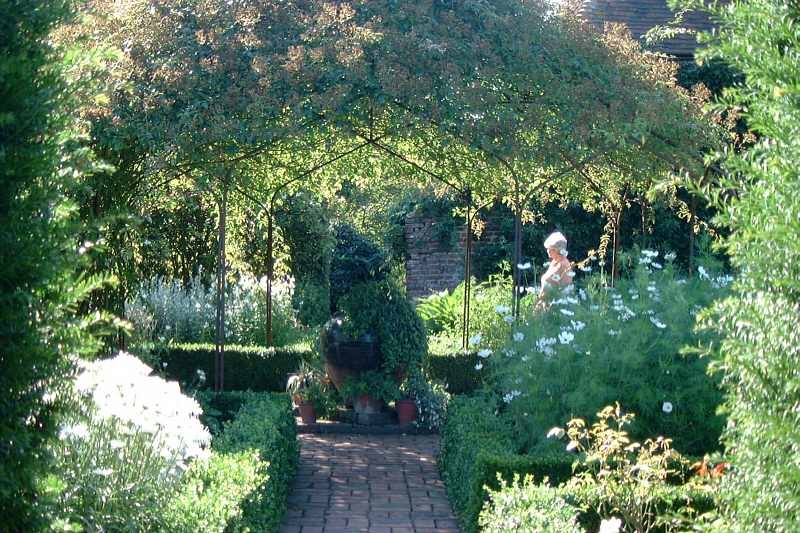 One of the nice features of Sissinghurst is the connection between the individual gardens - the visitor is enticed by glimpses of adjoining gardens in all directions. 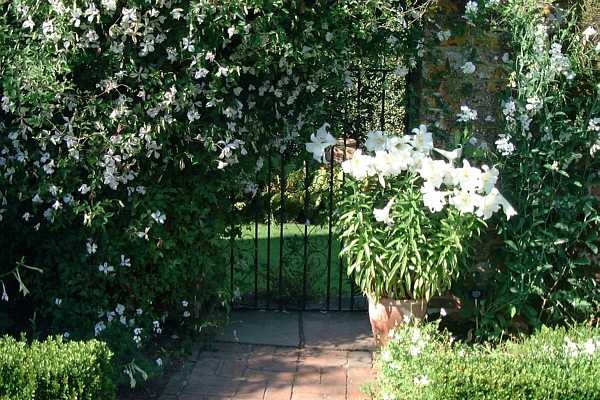 The Tower Lawn can be seen through Bishop's Gate. 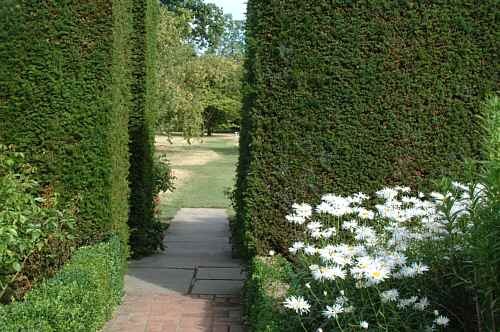 This gap in the hedge was added in 1949 and offers views across the Orchard. 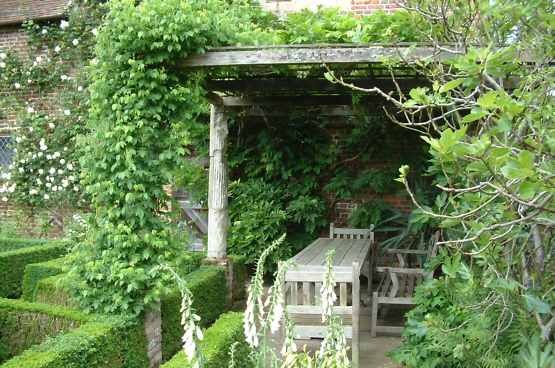 The outdoor dining room, the 'Erechtheum'. 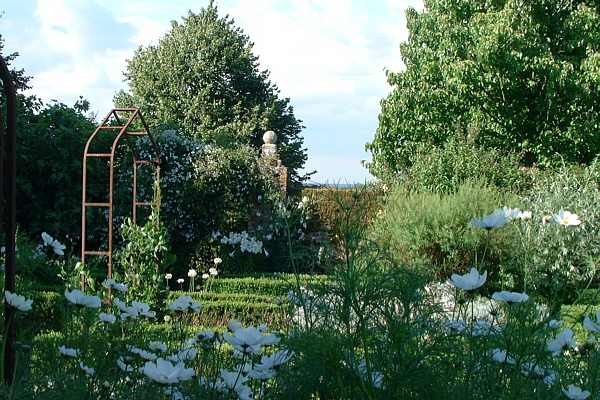 The wall at the north end of the garden (in the background) was not part of the original buildings and was built in 1932.